Begin to see lots of interest from overseas orienteers in the forthcoming 2017 World Masters Orienteering Champs and also Oceania. Identify and bring on board someone who will passionately drive the new Event Liaison position which calls for major interaction with clubs. Make sure our committees are fully resourced and able to deliver on their objectives. Get to grips with the new Health and Safety regulations. Continue to secure community grants but endeavour to find a major sponsor. Have our new constitution approved at the AGM. Continue to perform on the international front and produce some quality results in line with significant improvements over the last few years and also to support the HP Goals. Looking back over the year, we’ve witnessed some wonderful results at international meets especially at WOC and JWOC and continue our dominance over Australia and NZ at Secondary Schools level. With the new HP Plan in place, we can look forward to more athletes being involved and hopefully a continuation of our high success rate. I’d also like to acknowledge the hard work put in over the year by Council, our GM (Catriona) and ONZ’s part time resources, Technical Committee Convenors and their members, the Selectors and finally Club Officials and volunteers. Your contributions all help our sport to develop and realise its potential. I look forward to your valued contribution next year. 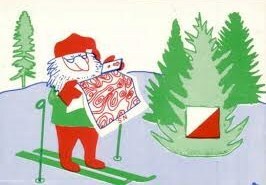 Finally before we all disappear to families and friends – have a wonderful Xmas and holiday season and seeing I omitted to mention it last month – here’s a plug for the Southern Orienteering week (18 Jan – 24 Jan 2016) based around Wanaka – should be a memorable event. A summary of the key changes has been circulated in a separate enewsletter. A copy of the full constitution is available on the ONZ website for your information. We have had a few queries regarding this announcement, so in order to clarify the position we would like to confirm the Athlete Contribution is a fee which reflects a partial contribution towards the full cost of international tours. The costs of international tours includes entries, accreditation, team staff costs, accommodation, catering, transport, training maps etc. These costs are covered by both the Athlete Contribution and ONZ covering the balance of the difference between total costs and Athlete Contribution. A review of tour costs and athlete contribution over the last five years was undertaken as part of this process. The ONZ Council believe the athlete contribute fees listed below are fair and reasonable based on the actual costs over these years. This information will be reiterated in selection notices. Applications for these roles close on 31 December 2015. We look forward to working with these appointees next year. A wee reminder to ALL orienteers the AWMG embargoes apply to everyone, regardless of whether you are a masters orienteer or not. Please ensure you respect and abide by these embargoes. Click here to find out about the embargoes. ONZ are pleased to announce the appointment of Lactic Turkey Events (Shaun & Madeleine Collins) to be Event Managers for both AWMG & Oceania. Shaun and Madeleine have a long association with orienteering both represented NZ at WOC and JWOC. Lactic Turkey Events include The Hillary- an 80km Ultra Marathon in the Waitakere Ranges, as well as rogaines, adventure races, trail runs, sustainability challenges and the Kids Can Great New Zealand Santa Run. If you are interested, contact Gillian Ingham. 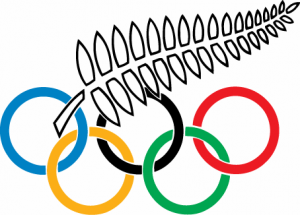 The NZOC is pleased to offer the opportunity for one male and one female between the ages of 20 – 35 years old, to attend the 56th International Olympic Academy Session for Young Participants. Young New Zealanders who have participated in this International Session in the past have given high praise about the Session and the positive impact it has had on their lives. Local transport to the International Session and food and accommodation whilst in Greece will be provided free of charge. In addition, the NZOC will reimburse 50% of the air fare on your return (on provision of report). If you know of anyone who may be interested in this opportunity, we ask that they please return an application form no later than Wednesday 10 February 2016.
the following people who have been active in keeping ONZ working and on track this year …. The ONZ Office will be closed from Wednesday 23 December until Wednesday 7 January 2016. Thanks to Pelorus Trust, Pub Charity and Four Winds Foundation for supporting the 2015 Junior Camp. Without the support of these trusts the camp would not have achievable this year. Notices for both WOC, JWOC, World Cups and WUOC Selections have been published on the ONZ website. Make sure you have checked these notices and are aware of the requirements if you are planning on being part of these teams in 2016. ONZ is pleased to announce SportNZ has agreed to continue its investment in Orienteering at its current level ($20,000 pa) for the next 4 years (2016/17 onwards). SportNZ have received a $2m funding cut which has had a significant impact on its ability to invest into sport. 66 National Sports Organisations (NSOs) have been funded, of which 25 receive the same level of funding as 2015/16, 10 received and increase and the remained have received a decrease. Of the 14 Regional Sports Trusts (RSTs), Auckland, Waikato, Manawatu, Wellignton and Canterbury all received increased funding, while the rest had funding cuts. To update your Preferences, please Click Here.